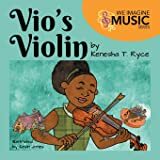 Many of us begin practice of music with our children with great enthusiasm, only to find that it is a lot more challenging than we thought it would be! 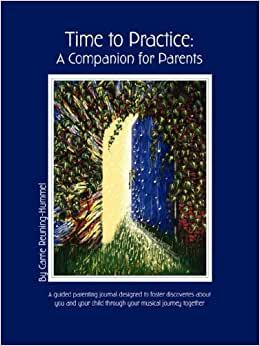 In the guided journal, Time to Practice: A Companion for Parents, Carrie Reuning-Hummel shares the wisdom she has gained from practicing as a child with her parents and practicing with her own children. She also shares insights gained through her role as a Suzuki violin teacher who has helped with countless parent/child partnerships. The first half of the book takes the parent on a journey of discovery about their own motivations and gifts as well as their child's. The second half applies these discoveries to the actual practice. Far more than a simple practice journal, this book is filled with Carrie's personal stories and sage advise, plus thought-provoking exercises that lead to a deeper knowledge about the relationship between parent and child. 5.0 out of 5 starsGood advice on getting kids to practice! 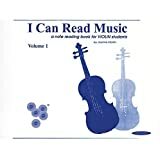 Great guide with practical advice for getting children to take their music lessons seriously.